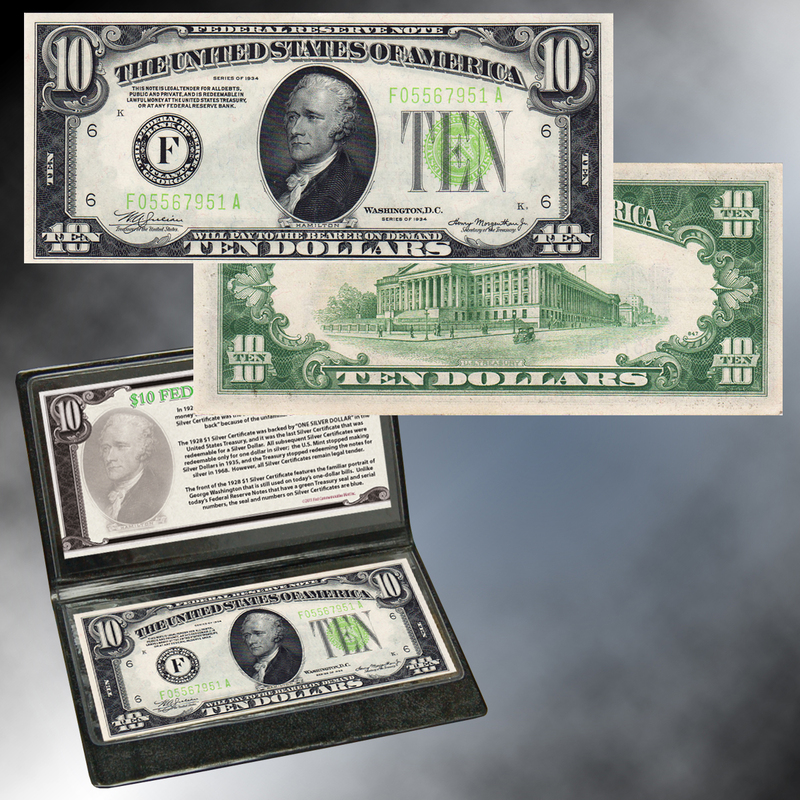 The $10 bill is a genuine Federal Reserve Note issued by the U.S. government. It was issued in the Series of 1928 or 1934 and is therefore up to 80 or more years old. A $10 bill of this vintage circulated in the Great Depression and World War II eras. 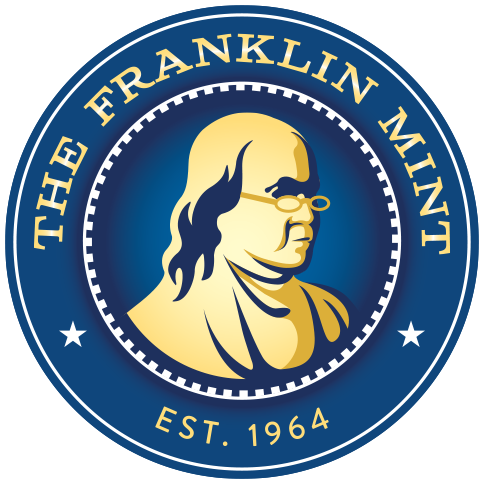 The green Treasury seal and serial numbers on the front are standard for Federal Reserve Notes. 7 1/2" x 4" x 1/4"